Turkey has been in the highlights of international media during the last decade, Recep Tayyip Erdoğan and his Justice and Development Party (Adalet ve Kalkınma Partisi – AKP) made big achievements for a country that was not in the developed countries club. Through the 2023 Goals, when the Turkish Republic will commemorate its centenary, Erdoğan wants to change Turkey to his “New Turkey”. Turkey is now one of the emerging countries in the World that wants to spread its influence through official development assistance in the developing countries, specially in Africa. Turkey is a key player in the MENA region (Middle East and North Africa region) and in the Turkic countries, is also a country that many saw as a model capable to keep democracy with a moderate Islam, but has now shown to the international community that the country is not a pure democracy that respects its freedoms. 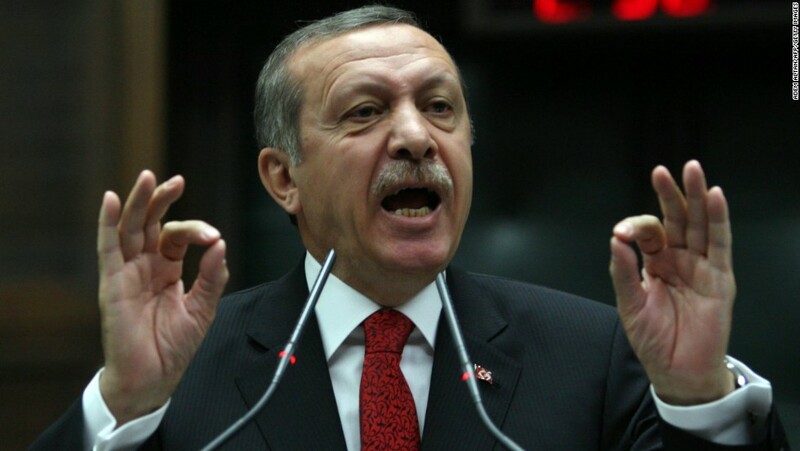 After this mishap Erdoğan was sentenced to jail for 10 months, but in 2001 together with other former members of the Welfare Party, where it is included the former President Abdullah Gül, Recep Tayyip Erdoğan was back to the Turkish political arena with a new moderate Islamic party. Since AKP took power in 2002, Turkish economy is having an incredible growth that many European countries envy, this has permitted Erdoğan to consolidate his influence in the Turkish politics. AKP first won the elections with Gül, during his short mandate he lifted the restrictions that prevented Erdoğan to take a political office, then when a by-election in Siirt elected Erdoğan as member of the Turkish Parliament Gül was replaced by him as Turkish Prime Minister. Erdoğan did two more mandates as Prime Minister and before the internal rules of his party blocked a fourth mandate, the Turkish Parliament changed the constitution in order to permit the election of the President of Turkey directly by the Turkish people. Erdoğan was elected as President of Turkey one year after the Gezi Park protests, when he started to increase his authoritarian power against the protesters who where gathering in a city park near Taksim Square in order to protect that green area in Istanbul. The protests grow to other cities, even out of Turkey, and started to be not just about that small park, but also about the problems that Turkey was starting to face with the AKP rule. Since then social networks have been blocked by the government every time that some big demonstrations or terrorist attacks happen in the Turkish territory. With the failed coup during last summer the Turkish media has also become more frequently a target by the Turkish government restrictions, many newspapers, televisions and radios have been closed after the coup. Erdoğan during his mandate as Prime-Minister was able to reduce the Kemalism influence in the Turkish army, creating a balance of power between the civil and the military society in the Turkish State, he filled the gaps with Gülen supporters, but the Gezi Park protests and the corruption scandal has turn the Erdoğan’ biggest ally to a terrorist organisation (FETO) in AKP eyes. Fethullah Gülen is a Turkish cleric who is in exile in the United States, his supporters reached many areas inside the Turkish State with the help of Erdoğan, but now the President itself wants to see Gülen extradite from America to be judged by the Turkish court, as he says that Gülen and his movement are responsible for the 15th July failed coup. Despite this split, Erdoğan rides a wave of popularity unprecedented, such as Atatürk, their pictures are all around Turkey and both have a big influence in Turkish society. Both leaders share the idea that Turkey can be a great world power again, however the Erdoğanism has a neo-Ottoman, conservative and Islamic vision in opposition to the Kemalism ideals that are more European and secular. The President of Turkey referred in the last commemoration of Atatürk’ death that he would like to see the Turkish territory expanded and that Turkish history is bigger than the 93 years of Republic, in an evident reference to the Ottoman Empire history. Erdoğan with his Erdoğanism measures is killing the Kemalism ideology, but he also knows that he cannot delete Atatürk from the life of many Turks that still have him as their idol. So the Turkish President made a comparison between the failed coup attempt and the Turkey's War of Independence, Erdoğan said that he, as Atatürk, have enemies but they were able to fight then and keep a stable and strong Turkey. Recep Tayyip Erdoğan also knows that he cannot delete the Kurdish population, that represents around 15% to 20% of the population in Turkey. 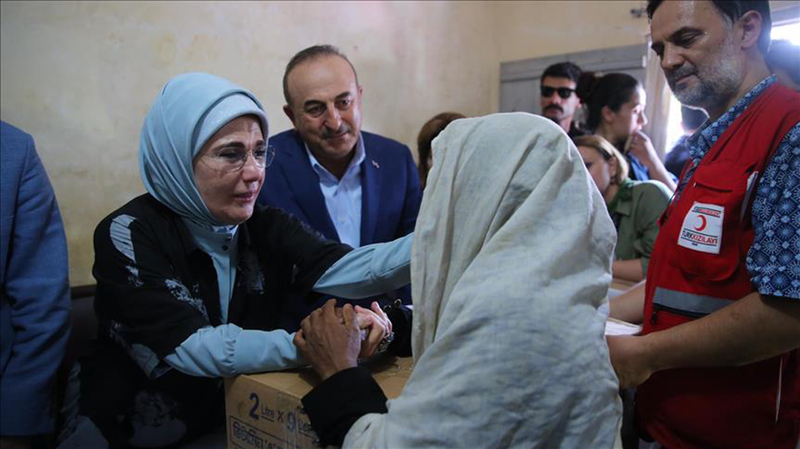 His AKP government wanted initially a political solution for the war against the PKK, a Kurdish terrorist group, that have killed around 40.000 persons since 1984. Erdoğan lifted the ban on the Kurdish language and started a cease fire, but the Kurdish cause remained there. In 2015 for the first time, the new Kurdish party that also represents other Turkish minorities was able to pass the landmark that was keeping Kurdish political parties out of the Turkish Parliament. The People’s Democratic Party (Halkların Demokratik Partisi – HDP), with 59 MPs in the Turkish Parliament, represents now a threat for the Erdoğan’s Presidential system, one month after the elections the ceasefire talks with the PKK were ceased, which held again to an escalation of violence in the Kurdistan region of Turkey, putting the region under a state of emergency. Kurds are now a target and the HDP’ 59 MPs saw their immunity lifted last July, days before the failed coup, ten of them including the two co-chairs were already arrested in November, also the Kurdish mayors in the southeastern region of Turkey have been replaced by an hand-picked administration chosen by AKP. The HDP Parliamentary group has decided to halt all their activities in the Turkish Parliament for what they call the new coup d’état. Without the Kurdish MP’s in the Turkish Parliament the AKP, together with the nationalists MHP, will be able to change the Turkish Constitution in order to include the Erdoğan’s presidential system. After the July’s failed coup attempted the Turkish government has stepped up its repressive measures against the Kurds, but also against the members of the so called terrorist group FETO. Since the coup all regions of Turkey are under a state of emergency and the European Convention on Human Rights have been suspended by the Turkish government, which provoked a high number of detentions and an intensification of Erdoğan’s control of the State institutions. The Turkish President is now making personal appointments of many university rectors, which has been seen as an act of turning Turkish university less independent from the AKP affairs. The media control has increased hardly, even foreign journalists have seen their Resident Permits revoked and cannot work in the country. More than 110.000 people have been suspended, dismissed or detained since the failed July military coup, including soldiers, judges, teachers, journalists and politicians, around 370 NGOs have also been suspended. The Turkish Republic has been during its many years passing through many difficulties, one of the most famous Atatürk’s quotes is "yurtta sulh, cihanda sulh” which means “peace at home, peace in the world”. The Erdoğan’s “New Turkey” is not able to achieve peace within its borders, not even in the world where the President seeks for new allies in order to compensate the hard relationship with the European Union. The bad management of the refugees crisis has blocked EU when it comes to speak about the authoritarian rule in Turkey, the EU needs Turkey to block the big flux of refugees coming to Europe, otherwise the far-right parties will grow around all States-Members and put the union in a much bigger danger. The Turkish President knows this EU problem, but he also knows that when the Syrian conflict ends he will not have the refugees to balance in its relation with the EU, which has provoked an approximation to old partners such as Russia and Israel, but Turkey seeks new partners in other parts of the World. The internal situation in Turkey can somehow be compared to Russia, but Erdoğan and Putin have different visions for international issues, specially in the Middle East where Russia is backing the Assad Regime in Syria, against the will of Turkish President. The President Erdoğan as claimed that is people’s will to bring back the death penalty, this is worrying the European Union that with the refugees deal was suppose to revitalise the negotiations of the Turkish accession process. The EU is unable to react as one voice to what is happening in Turkey since the failed coup, the Turkish President declared recently that he is ready to hold a referendum about the membership talks. If the EU membership talks cease, Erdoğan will push Turkey even more to an authoritarian regime and with the death penalty approved many can suffer with this regression, specially the Kurds and the persons connected with the failed coup. EU needs to keep pushing Turkey into its path to a real democracy, otherwise its Turkish people that will suffer. Turkey is a strange democracy, but still a democracy. The “New Turkey” of Erdoğan has created a new democracy in a Turkish way, for the Turks that support the President, by love or by fear, this is the way to make Turkey a great power again, bringing back all the ideals of the Ottoman Empire. Unfortunately for then, in a globalised world there is no place for the old empires, nowadays cooperation is the new way to improve the links between States and its people. For the opposition and many Westerns this “democracy alla turca” without freedom of speech and respect for the Human Rights is a hidden dictatorship. The Turkish President will have to choose if he wants to judge the responsible for the failed coup by the rule of law or by its authoritarian power, he will have to choose as well if wants to keep a war against the Kurds or try to bring back peace to his country and last he will have to decide if keeps smashing the opposition voices or will accept that there are Turks who do not agree with his politics. Erdoğan has many internal choices to do while at the international level he decides if the best foreign policy for Turkey is to keep constructive ties with the EU or a new approach to Russia.